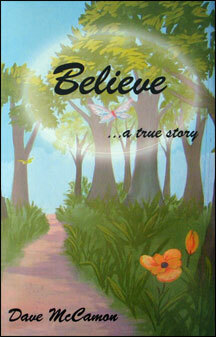 Recently released, Believe ... a true story is a book on Nicole's life. The story is nothing short of inspirational. The release of Believe ... a true story by Dave McCamon is currently available. It is a complete account of her life ... her hopes ... her dreams ... and her accomplishments. You are guaranteed to be inspired and it will warm your heart! Like a story that begins with "Once upon a time," this story in Mineral City, Ohio, tells how a 14-year-old girl with cerebral palsy cared enough to make a difference. Through her Girl Scout Bronze Award project, Nicole Donant found courage to embark on a new adventure and confidence to discover new abilities. A shining character, shaped by values and friendships old and new, this unique and determined girl combined all those gifts to make the world a better place. Dave McCamon is a nationally-known artist who enjoys writing about the lives of everyday people, revealing how important and special they are. He believes that everyone has a story worth telling.